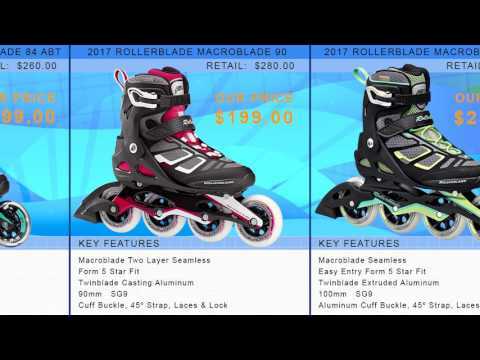 The Rollerblade Macroblade 84 ALU Inline Skates are great performance recreational skates when you want something more than just to cruise around. These skates have lots of great features to keep you comfortable, rolling fast and performing at your best. The Aluminum Frame is going to be great at transferring energy from each stride down to the 84mm wheels. These wheels are great for recreational use and they can get you going at high speeds and maintain that speed. The liner inside is a Form 5 Star Fit which will help conform the liner to your foot so that you have the ultimate in comfort. The high cuff will give you plenty of support and, when locked in with the cuff buckle and 45 degree strap, you'll have a secure fit and feel. 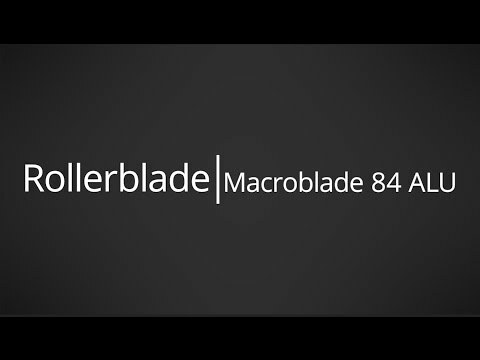 The Rollerblade Macroblade 84 ALU Inline Skates are great for the recreational skater who wants a little more performance and loves the feel of skating fast. Awesome skates for a great price. Searched and researched and the best deal were these skates. They ride well and were just what I was looking for. Perfect for those getting back into skating. A: The Macroblade 84 ALU women's offers regular lacing like that found on an athletic shoe, this skate also offers a Velcro mid closure and a plastic cuff buckle. Q: Will this skate be restocked in a size 6? Q: I wear a size 8.5. Should I go up or down a size in these skates? A: I'd personally go down to the size 8 since I like a tight performance fit in my skates. Skates are going to fit the same as standard shoe size so ideally you'd want to find a skate available in the half size to get the perfect fit. We do have the 2018 version of this skate available in a size 8,5, although it's not as sweet of a price as this previous year model it is the same skate you're interested in and you could rest assured you are getting the correct size instead of guessing up or down. Q: I've read that this brand is a better one for wide feet. If I wear a 7 in shoes, should I size up at all to compensate for my wider foot, or will it likely be ok to get my usual size? My foot isn't dramatically wide, and most shoes will fit ok even in my regular size once I've broken them in, but occasionally I have to go up if the manufacturer is known for making narrow shoes. A: None of the inline skate brands have a "wide" fit but the soft boot style skates like this one tend to work well for those with a wider foot. If you don't have an extremely wide foot I wouldn't recommend going a size up as the skates will most likely end up being too big, if you only have a slightly wide foot you can wait and see how the skate feels once broken in and then if necessary you could go with an aftermarket footbed or a heel lift to alleviate the pressure a bit. Both will help lift your foot up slightly in the skate thus relieving a bit of the pressure from the sides of the skates. But from what you are describing the skate will most likely fit fine once broken in after a few skates. Q: what is a "macroblader shell" and what is a "training foot bed". 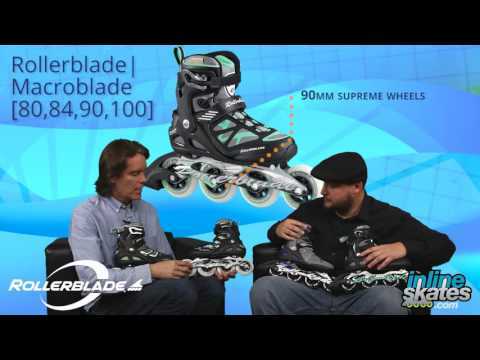 A: The Macroblade Shell is the name Rollerblade has given to the outer plastic shell of the skate. Designed to be supportive as well as comfortable for longer skating sessions. The Training Footbed is the name of the footbed used in the skates, it's nicer than most stock footbeds found in inline skates offering microbial properties as well as cushion and support.